Chiro was my wench assistant. Yep, it was a great time. The condo made it awesome, so much more relaxing than the rigors of camping, and being in the cold 24/7. I've tried to post the cop story a couple of times, but for some reason every time I type a long post, I get kicked off here. We were victims of hunter harassment. Sooooooo, we'd been hunting/scouting out a new area, Tues and Weds. Lots of sign, north face of a mtn vs the south face we'd been hunting on, heavily timbered, and not nearly as steep. We really liked the spot. There was snow coming in Weds. night, so we decided to stay out of there, let it cool off, and we'd hit in Thurs morning in the fresh snow. Thurs morning, we followed a 4Runner into the the trailhead. The 4Runner whipped around in front of us, and parked partially blocking the marked jeep trail that we were using to go up to the hunting area. A marked jeep trial in Gunnison National Forest. This jeep trail was pretty rugged, but it saved us probably 1000 vertical feet, and close to a mile of hiking. No big deal, we had to stop to chain up the truck, we'd ask the person to move. As soon as we got out of the truck, this woman started yelling at us. Ranting and raving, pretty much hysterical, about how she got up in the middle of the night to get there first to cross country ski, we were going to shoot her, we were going to ruin her skiing, on and on. A lot of incoherent wailing, asking herself what she was gonna do. We assured her that we wouldn't shoot her, but she kept right at it. She identified herself as a worker at the Nordic Center in Crested Butte. She told us that they us the area for skiing, and we should go someplace else. She lied to us and told us that there was another road around the back side of the mtn., we should use that. She yelled at us that we shouldn't waste all of our time and gas to come out here and kill things. All of this was in hysterical shrieking and wailing, not talking. Needless to say, we were all pretty much dumbfounded. We had a quick huddle behind the truck, and decided that we had better not head up in there to hunt with the crazy psycho skiier woman up there. 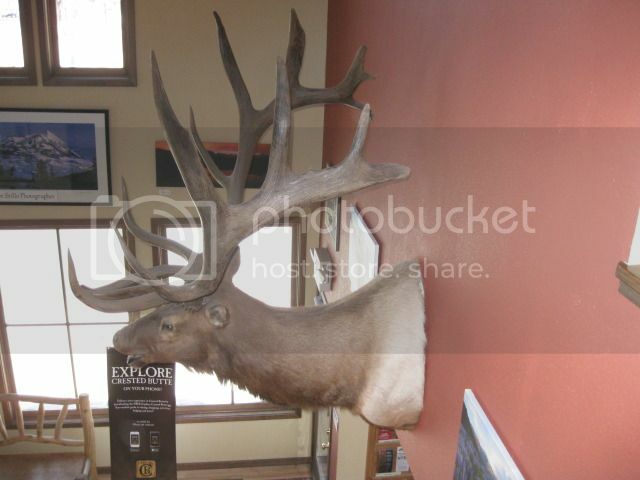 If you're not familar, it's a felony on Colorado to interfere with lawful hunters in any way, shape of form. They take it VERY seriously. It's also against the law to block access to public lands. So, we left, after we wrote down her plate number. And called the DOW and Gunnison Co. Sheriff. That's why there was an officer in the condo Thurs. night, he was taking our statements. The officer knew just who the lady was, said that they'd had trouble with her before. He told us that he was heading down the hill to cite her after he left us. We'll all get summoned to appear in court at her trial. That whole deal pretty much screwed up our morning hunt, we went to another area down the road a bit, there was a bunch of guys in there. Good job on taking down her plate #.....Some people think THEY own the forest.....and rant when YOU interfere with their hobby, even though they know well enough this is the time of year when people are roaming the hills with firearms. They tend to forget the dollars put in by hunters and fishers actually PAYS to maintain and mark those trails, and the people who do that job.....Their cross-country skiing and bird-watching puts in absolutely NIL! I guarantee I've put more money towards maintaining habitat in CO than that lady, and I'm not a resident. That's what really got us angry. Of course we don't mind sharing the forest with a skiier. Her running us off so she could ski didn't sit too well with the group. It was a nice touch that the officer who came to get our statements was an elk hunter as well. He wasn't putting up with it one bit. 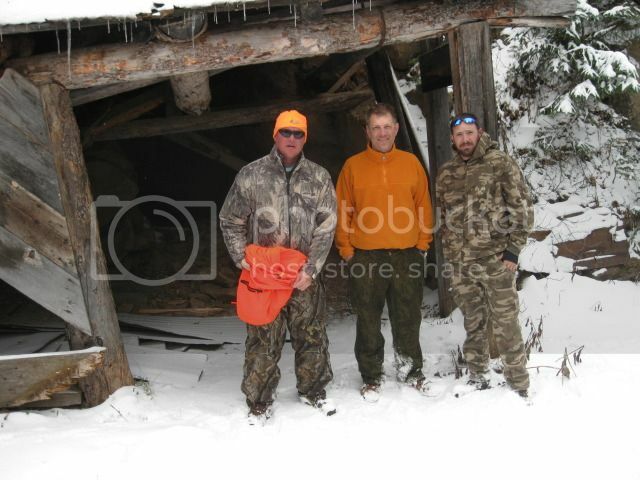 Just got back home from second camp I hunted out of this week, sorry to say, no Elk in my cooler. We did manage to see a couple of cows, but we all had bull tags! We were hunting in an area that required long hikes, sometimes to almost 11,000'. We pushed the cows out of dark timber at 10,800'. Terrain was a little different than where Jerry and I had hunted earlier. Jerry and I enjoyed the chase even though we came up empty handed. From our Pronghorn hunts, I knew he was a good companion in the field and it was really good to hunt with him again. 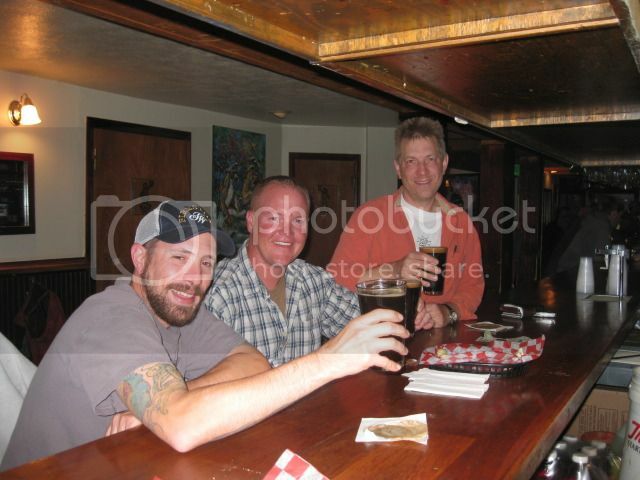 Our Monday get together in Crested Butte was one of the highlights of this hunting trip! A hot shower after several days in the field does wonders for your morale! Joe's culinary skills created an excellent meal for us also. It was truly a pleasure to meet face to face with MHS, CHIRO, and JBOHIO. It was a really good evening spent in the company of some mighty fine folks! I'm already looking forward to the next one! Sounds like y'all had a blast, regardless of whether you personally scored an elk or not. When I hear stories about hunter harassment it really sets me off. These people think God gave them the planet. They are really sick. These bunny huggers need to be prosecuted on several counts. For one thing, if I'd have made this trip, that would have been more than 1,000 miles and at the price of gasoline today, it would have cost me several hundred dollars, not counting my tags. To say that I would have been Miffed!!! would be a gross understatement. I just don't know if I could have witheld my anger. But the problem is, all they will do is site her and make her pay a fine ,which no doubt, the Sierra Club or some other Bunny Hugging society would have paid for her. So there's no lesson learned. When they do this they need to go to jail for a few months. These freaks are getting away with murder. Anyway, sorry y'all had to go through that, but congrats on having a great time, regardless of this Bimbo Bunny Hugger. I absolutely hate people that harass hunters!!! That said, I still feel that they should have hauled away JB with his scope bite and his poop eating grin. It just ain't right! I was allowed to make coffee and bacon in the AM, baby steps:tooth:. On that topic, I have this new fondness for bacon and pumpkin butter on toast now, JB's MIL makes some good stuff. That said, I still feel that they should have hauled away JB with his scope bite and his poop eating grin. It just ain't right! There is no doubt about that. I don't know what I keep doing wrong, but there are no elk jumping out in front of me while sitting here at my computer. I might need to change tactics. That was a nice hunt boys-- even from the point of view of an armchair. It was exciting to see your adventure unfold. BTW boys....1 in 5 success rate. Joe got his....y'all got screwed! MHS and I know of only two people that have beaten those odds by sheer luck/skill.....one's a slob hunter....the other is his/our "uncle"....and our original mentor, who did it with a .270 for many years. Most of it we learned on our own trial and error....and being in the right place at the right time. We were just fortunate to be brought up in a target-rich environment.....didn't mean we hit every year....but learned many a lesson about hunting elk. All of this back and forth brings one thing to mind. 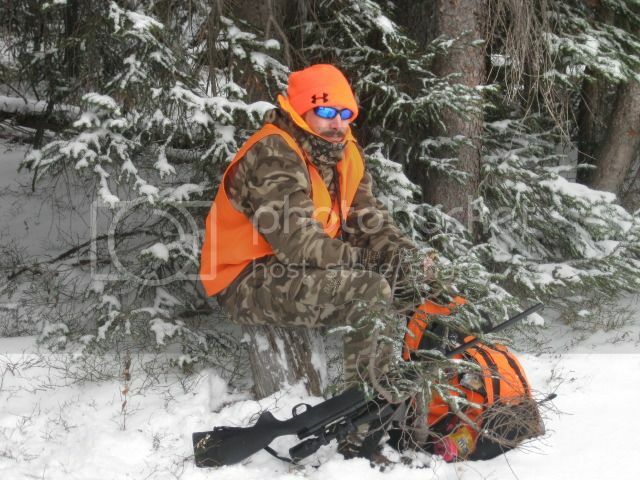 ELK HUNTING IS HARD. IT'S EVEN HARDER WHEN YOU GET ONE!!!!! There's a reason why there's a 20% success rate, statewide. That rate takes into account those hard to draw areas where the success rate is much higher. Like Steve said, y'all done good! 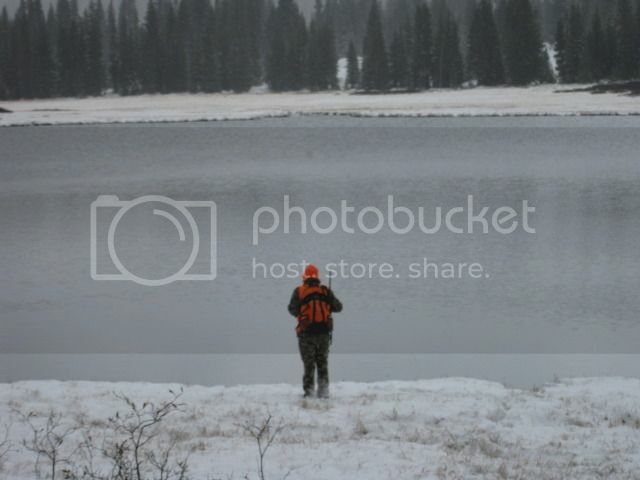 You know your in elk country when you have to ask yourself "do you really want to do this" before you pull the trigger. I have passed opportunities because I did not have the horses or the five days it would take to pack out the meat. It looks like you all had a wonderful experience. Congrats. By Weds. I was asking MHS this, there was a water fall with some dark timber above it, MHS made the trek to look for the human access and only estimated the elk access, we did not make the trek, it was fun imagining the monster elk just over the ridge, but the thought of getting a elk packed out of there was too much. Been there done that as well. Last time I hunted before moving I was in gmu 18 which borders RMNP near Grand Lake. My partner and I had climbed to about 10,000 ft and saw elk well above us. we spent the next 4 hours on a steep climb and only closed maybe half the distance. We pecked away at the climb for another hour or so and got to about 11,000 ft when the wind changed and came up hill. Took those elk about 5 min to clear the peak after they winded us. They were gone into the park and to be honest, we were glad. 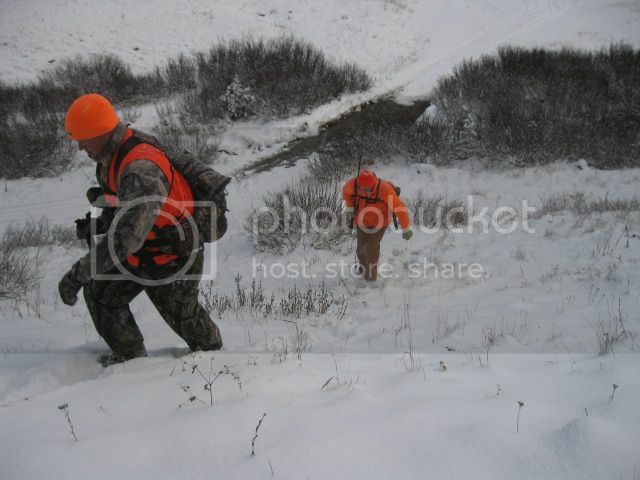 It was a fun and educational stalk but the thought of getting an elk down from where we were was daunting.